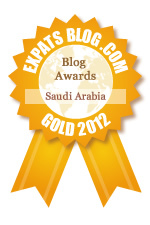 Blue Abaya has won the gold at the Expats Blog Awards 2012! Woohoo!! I am so thrilled! A huge big shout out and thank you for each and every one of you who voted! I want to take the chance to thank all the readers and fans out there for all the amazing support and positive feedback you've given me during the years. I'm really touched and even a bit overwhelmed with the blog love you've shared! When I started blogging in 2010 I never thought my blog would become popular or win any awards, so that makes this like extra nice. Not that winning awards or getting page views was why I started! I just wanted to share my experiences and spread some much needed positivity into the Saudi blogosphere. Soon I noticed writing made me feel good and it became a sort of outlet to my creative side so I continued. Today, as a mom of two under two year olds, I barely have time to sit down anymore. I often feel frustrated and have so many ideas on my mind it seems like I'm going to explode if I don't get to somehow express myself! I also have heap loads of photos waiting for watermarking and editing. There's so many places I visited that I want to let people know about! Events I want to attend and then share my experiences about.. I have millions of ideas. I want to change my blog layout and design but I don't have the computer skills or time. I wish there was some sort of system that would download your thoughts onto the computer directly from the brain. That way I could blog and simultaneously rock the baby to sleep or feed the toddler while composing a post about our Dubai road trip! Blogging takes so much of my time it has started to feel like a job. If not full-time, then at least part time. The only difference from a "real" job is that I don't get paid. Since the blog has become my work, I've started to look into having a few advertisers on the site to hopefully pay for a bill or two. Blogging never made anyone rich though :) (well expect maybe Dooce and Bloggess). I also have a long time dream of opening a Blue Abaya shop! So many people ask me about purchasing abayas, bedouin jewelry and other items from Saudi. I would love to design abayas. Blue abayas! But how the heck would I have time for all that? I think I need a secretary or assistant or something :) Any volunteers? A while back I wrote a post exposing some hate comments called Blog Hate Mail: Hall Of Shame. Well this post is the opposite! I have decided to make a quick compilation of some of the blog love Blue Abaya has received during the years along with some of my favorite shots from around the Magic Kingdom.. Some of these comments were left on the Expats Blog page and others on various posts on Blue Abaya. I appreciate all comments, please keep them coming! "I love your blog, it makes me laugh at work when all I want to do is take cover. I find it witty, intelligent and extremely resourceful. I must admit that I often come here on a daily basis to check if there is something new. My advice to you is to keep writing as you are clearly blessed to be able to write so well. It would be haram if you were to stop. Lotsa love and encouragement always,"
"Thanks for your wonderful blog. I lived in the kingdom for 9 years 77-86 and was a journalist for Arab News. Your blog helps me keep up with the changes--important for me as I frequently speak on the kingdom"
"Seriously, I thought my life ended after I moved to Riyadh this Summer, but after discovering your blog today, I realised there is so much fun to be discovered! So thanks so much for that (: Also, after a bit of reading, I can safely assure you that you're aMazING! Eeek, I love what you write! Your positive tone, unwavering Eemaan, and refreshing outlook on life has presented Saudi to me in a whole new perspective." "You should write a book! seriously i would buy it asap you writing skills are intriguing and I'm sure you have so many stories to tell. Ever thought about it? You'll give Jean Sasoon and her false stories a run for her money." "I've noticed that you surely use a LOT of time and work hard to create your posts. Your blog is so informative and rich, showing KSA from a different and thus interesting perspective. And the photos make it feel just like a free holiday in a country where I've never visited. Anyway, keep up the good work, Laylah! The fact that someone plagiarizes you only proves that your blog is very good. ;)"
"I love your blog so much, I am from Canada and find it so interesting hearing a "western" view of the very different country of Saudi Arabia. I find it funny to see that the women in Saudi Arabia find Western women as interesting as I find them. If I could I would like to go to Saudi as you have described a very positive interesting and beautiful place. Keep on telling it the way it is as I look forward to reading your blog...I have read every post!! "you are the best example to follow and learn from .. Don't give up. You bring up a high ratios of people via your style of writing, the correct beautiful words & eloquence, thank you for everything ...I am sure that you will be rewarded for changing this world to better.."
"I spent more than a year in Riyadh struggling with the culture shock before I accidentally found Blue Abaya's blog. It made me understand, be more aware, and laugh. It opened my eyes to see the positives in KSA and see the humor in the negatives. I look forward to each blog; it's a family event for us to read the new blog together, laugh together, then discuss it. THANK YOU Layla!" "When I moved to Riyadh from the US two years ago I was in culture shock and very depressed to be in such a foreign and strange place. Blue abayas blogposts helped me cope with the craziness and look at the negativity of this country from a different light. Layla put humour and sarcasm in such bizarre situations that made me only laugh and actually look fwd to hear about more experiences ... Everyday is a new experience in Ksa... Thanks a lot for being such a great friend ad neighbor and support system..! Love ya Layla hope u win!" "This blogs makes you believe that 'LIFE' do exists in KSA :)"
"By far the best Saudi expat blog! Blue Abaya gives true insight on the pleasures and hardships of being an expatriate (woman) in Saudi Arabia, all the while maintaining a great sense of humor. This blog has had great impact on me personally, as well. I discovered it a year before moving to the Kingdom and started following it faithfully, as each post gave me courage and reduced my anxiety about moving to this foreign land. Not only that, but it inspired me to create my own expat blog. Thank you Blue Abaya, keep up the amazing work! :)"
"Blue abaya's style of writing is witty and funny, she candidly describes exactly the same frustrations, trials and tribulations ex pats face living in the kingdom, she tells it so well! Keep up the good work!" "Laylah tells us her real and personal experience inSaudi and that is why I love her blog. Although I may not totally agree with everything but she is one of the rare expats who truly embraces a different culture and doesnt complain too much hehe. She has a positive outlook on life and hat is how everyone should live be it in KSA or USA. Love you Laylah"
"Blue Abaya gives a wonderful insight into Saudi Arabian culture and isn't afraid of being critical. It is always a pleasure to visit her blog because there is always something new and interesting to discover." "Her blog opened new worlds and countries(Finnland, Saudi Arabia) to me, and reading differences and similarity brought me to be a person to adapt and accept differences in my own life as well. I love the way she expresses her experiences." "I am an avid fan...as others stated before, you have a unique style of communicating...open, funny and honest. I also live the experiences though your blog even though I have been living in KSA a number of years, guess am not as keen or adventurous...so it is fun to visit all the places from the comfort of my home LOL keep on blogging!" "Laylah, just wanted to say that I adore your blog and check in a couple times each week to see if you've posted anything new. When I first stumbled upon it I was absolutely delighted because although I'm America, my Dad's family is from Suomi. And I'm in grad school studying the Middle East and Arabic. You offer unique observations and help demystify Saudi. I even cited your blog for my undergraduate thesis about modernity in Saudi Arabia. Keep it up and let the haters hate!" "If only, every culture around the world would have a Laylah." "I nominated Blue Abaya for a listing and an award because it presents a real slice of life in SA, plus the photos are beautiful and Laylah is honest and insightful. Her photo journal at http://imagesofsaudi.blogspot.gr/ is also amazing. I don't have much time, but I always make a point to stop in. You should, too." 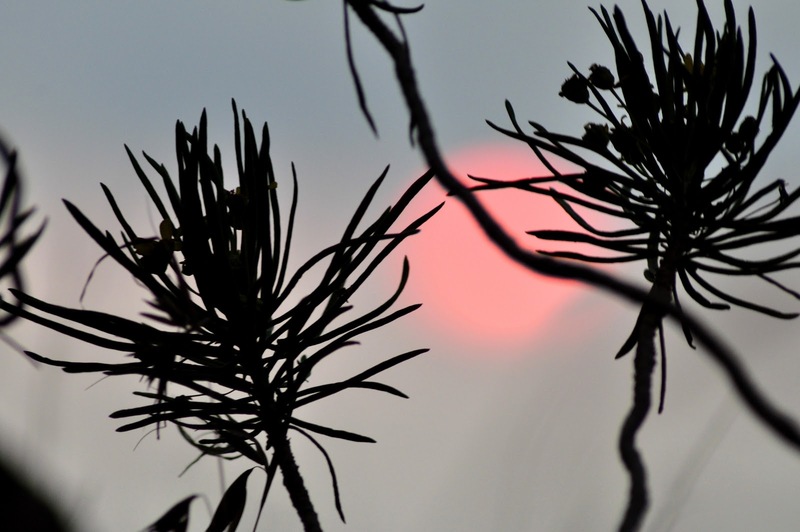 "The best and the most interesting blog I have read so far. Talented writing about important topics in KSA and the writer has great sense of humor as well. Also the photos of the blog are amazing." "I've been a reader for a while now and every time I come to your blog it amazes me. Your stories are interesting yet different compared to many other blogs, and at the same time your writings are honest, but Oh, for Pete's Sake, you do your best trying to be fair. Afterall we Finns know a little bit about honesty, or at least we are supposed to. I don't think many readers can get this. I know it's hard to get accustomed to a new country and their traditions and cultural settings. I've been thru that too. But you coming from Finland to KSA. I don't think I could have done that. Too many restrictions, but yet you seem to look at the glass half full! Keep on writing! 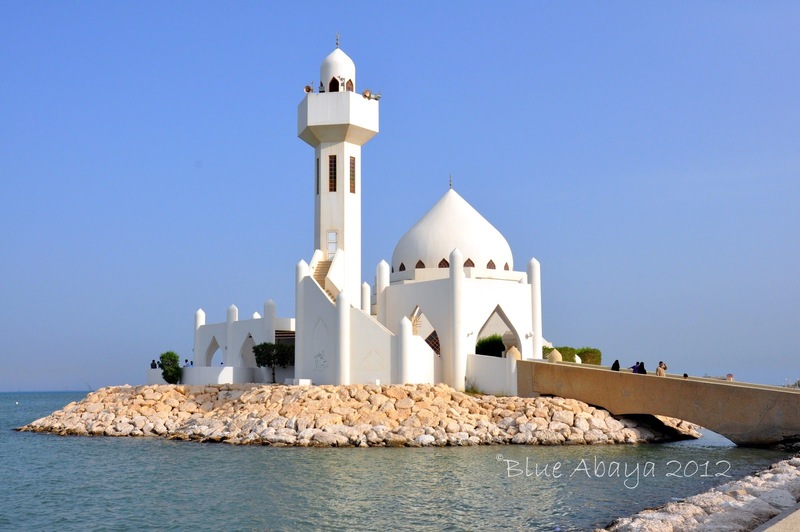 Blue Abaya is a fantastic blog. The writing is entertaining, honest, and compassionate. The pictures are excellent, and the mood and feel of the blog transport me. I love the mix of cultures--- glimpses of Finland and views of the Desert and real life in Saudi Arabia. It's one of my very favorite blogs. Thank you all for the blog love! Hi there, I'd love to help! What do you have in mind? Congrats! Alf Mabrouk! Well deserved! Good idea about the advertising you need to look at it from the viewpoint of readers,it will benefit them as well. Yahoo you won!Congrats dear, u deserved it! Congratulations on winning the Expats Blog awards! I have loved your blog since the start. You are so open about your experiences and have a way of injecting humor and sarcasm that has had me in stitches many times. Your photos too are amazing - it does get difficult to choose favorites and with this post you have compiled a fabulous variety of slices of life from Saudi Arabia. I'm so happy we have become cyber friends through the internet - Keep on blogging! My very best wishes to you always! Congratulations!!! The blog lovers speak the truth. I love this blog too! Congratulations again Laylah! Thank you so much you posted my comment! :D I love this anon's comment ""If only, every culture around the world would have a Laylah." You deserved this honour so much! Keep writing! Thank you dear! I'm really happy you won because you definitely deserve it! Hiphei! Onnea, ihan mahtava juttu! Congratulations Layla on a very well deserved award...although I do not live in KSA, I relate to almost all of what you write about....even in Dubai, a lot of what you write about happens, I can assure you!Being an expat woman (especially) in a Middle Eastern country has its own set of challenges, frustrations and joys....please keep posting..I love to read about your insights into life in KSA. Loved all the pictures! Where and what is the name of the beach with the white boat? The one underneath the comment from Rubear? Thanks. Umm Timo-thanks!it's from the Farasan islands an uninhabited island. H OrangeJAmmies and thank you for the comment! Thank you soha sooooo much for the offer!! Well for starters I need help with watermarking the photos and then I need to change the tabs on the top and redo the sidebar :)Could you help with those? Thank you so much for including my comment in this post! :) Lovely photos again, and you so deserved the gold medal! I know you are busy with your babies and all, but I hope you will never stop writing this blog. I wish you luck and hope you will reach your aims. Once you open that abaya shop, I will buy one from you ;) Onnellista uutta vuotta 2013!